it was like they over-indulged at the Sunday all-you-can-eat vegetarian dim-sum and their bowel went into emergency evacuation mode. You are on point, trending and lit 😂 now you just need to virtue signal (whatever that means) and you will be well on your way! I thought that veganism was a philosophy, a way of life not just a way of eating. Surely without choice the dogs are merely being raised on a plant-based diet? 2 days to go!!!!!!!!!!! Bring on Milk & yogurt for breakfast Friday morning. So did you stay up till midnight Thursday to enjoy some real food? Asked Emily if she wanted me to wake her at midnight for some Ice cream, her response " I value my sleep too much"
We have had some chicken, dairy etc since but I still haven't eating red meat. I'm enjoying salads, veg, fruit, etc a lot more & willl be cutting my normal meat intake back a lot more. blah, blah, blah - I came here expecting a photo of a Double Whopper and a tub of Ben and Jerry's. Na I'm enjoying being back on the bike & riding better in the hills. Plan is to stay eating healthy & drop a few more kgs. I set a pb up Norton Summit the other week by about 20seconds at 83kg. When I drop another 7 or 8kg I will be flying in the hills. So Bored@, give us an update a month after finishing? One month post vegan & it has changed the way I eat. I'm back eating dairy, chicken & the odd bit of meat (burgers normally) I still haven't had a steak & I don't miss it. 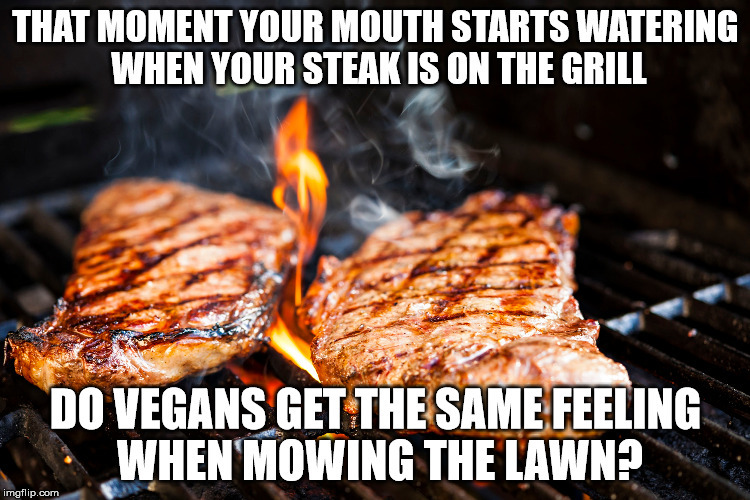 I'm probably eating a quarter of the meat/chicken we used to. We have started eating a lot more fish. But I have definitely changed my diet. At BBQ etc I'm diving for the salads over the meat tray. The freedom of being able to eat out is also a nice relief. A lot of places cater for vegans but there is normally only a few options. Going vegan for a month was a good challenge and I really enjoyed spend the time with my daughter, cooking & researching meals etc. We have vego friends. Whenever I have dinner at their place my guts feel awful for days after and my energy levels are down. Christ knows what they put in the meals? Need to stop for a top up kebab on the way to or from their place! This is an interesting interview from Dr Gundry on "Health Theory" (always good interviews to listen to). 37 minutes but enjoyable. Grill'd is going meat free today. I wonder how many people will walk out when they see that. I suppose they feel they will attract more for the special day. Monday is their quietest day of the week too. I think there will be quite a few peeved customers today. I feel sorry for the staff who have to try explain why for a day they are refusing to sell the product they built the business on and that practically everyone goes there for. Interesting.